Tim and I thought it was only right to take a little piece of Boston with us on our trip. For those of you who don’t know Wally, he’s the Mascot of the Boston Red Sox. “Wally the Green Monster” is named after the Notorious Green Monster in the left field of Fenway Park. 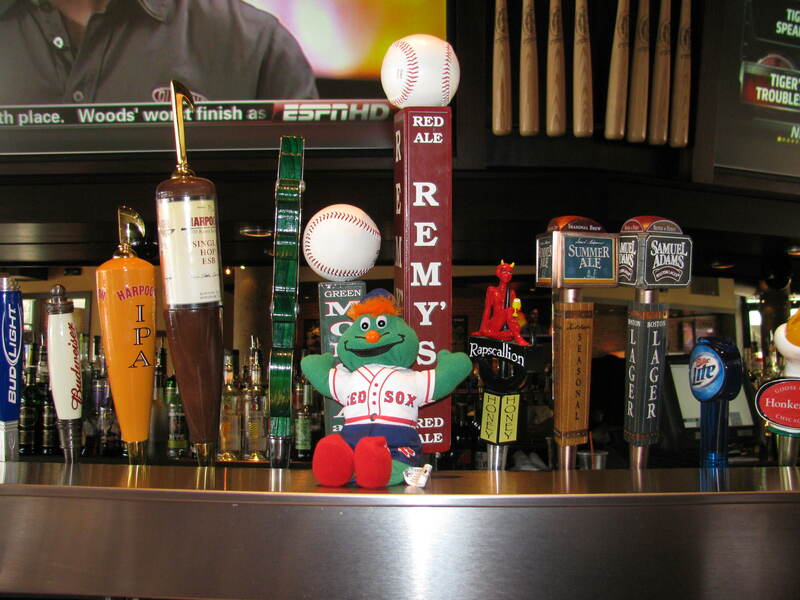 Today Wally is feeling right at home at Jerry Remy’s outside Fenway Park. Wally is coming with us all over the world to be our personal mascot on our trip. love seeing all the local pride: wally, at remy’s, in front of harpoon (and a limited edition offering! ), wachusett’s green monster, remy’s beer, rapscallion and a couple sam’s. Great idea! This is one thing I wished I would have taken with me, some sort of character from home for all the photo opportunities!